If you've ever said, "Well, I'll be hanged!" you probably don't know what actually happens in an execution chamber. Geoff Abbott does – he's even had a hangman drop a noose around his neck! From Butcher's Boy to Beefeater is a riveting account of former Beefeater, Geoffrey Abbott's extraordinary life. Join paratroopers, as he did, in their airborne training... experience conditions aboard a troopship in the U-boat-infested waters of the Atlantic... endure a torpedo attack in the Indian Ocean during WWII... or find out what it's like to live in a haunted Royal Palace. All this, and much more, is in Geoffrey Abbott's extraordinary autobiography – read and enjoy! Would appeal to fans of WW2, Hammer movies, Eileen Younghusband and John Nichol. 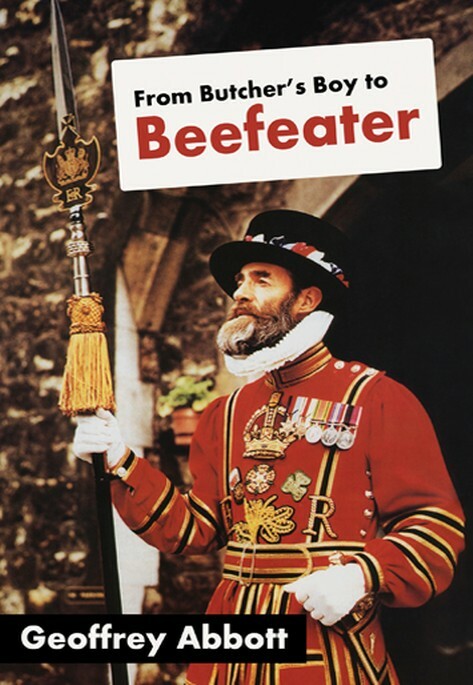 Geoffrey Abbott retired from the RAF after thirty-five years service in 1974 with the rank of Warrant Officer and then, on becoming a Yeoman Warder ('Beefeater'), lived in the Tower of London. Geoff retired to the Lake District, where he wrote twenty-five books on his specialised subjects of history, torture and execution, some being published internationally. His qualifications for such subjects are unquestionable, he appeared as consultant or executioner in more than twenty documentaries and historical programmes on UK, American and French television channels, 'beheading' such celebrities as Tony Robinson, Rory McGrath, and Helen Skelton, and by invitation has written the entries on torture and execution for the latest edition of the Encyclopedia Britannica. His opinion was also sought by the New York Times regarding the gruesome hangings of the Iraqi dictator Saddam Hussein and his half-brother Barzan el-Tikriti.